Penny4Arts With the advance purchase of one adult ticket through our regular ticket outlets up to three children's tickets may be purchased for a penny each. Penny tickets are limited and must be reserved in advance through the JCA office at 522-5851. Vocalist Kelle Jolly is one of East Tennessee's most celebrated jazz musicians. She and her husband, saxophonist Will Boyd. were the 2015 MLK Art Award recipients in Knoxville. She is the founder of Ukesphere of Knoxville, a ukulele group for all ages. 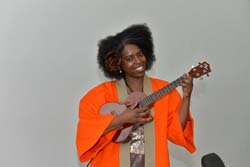 As an ambassador of jazz, she has traveled to Muroran, Japan as Knoxville's Sister City representative at various jazz festivals and events. Kelle Jolly is the host of Knoxville's newest radio show on WUOT 91.9FM, Jazz Jam with Kelle Jolly, an hour-long show that celebrates great local, national and international singers of jazz. 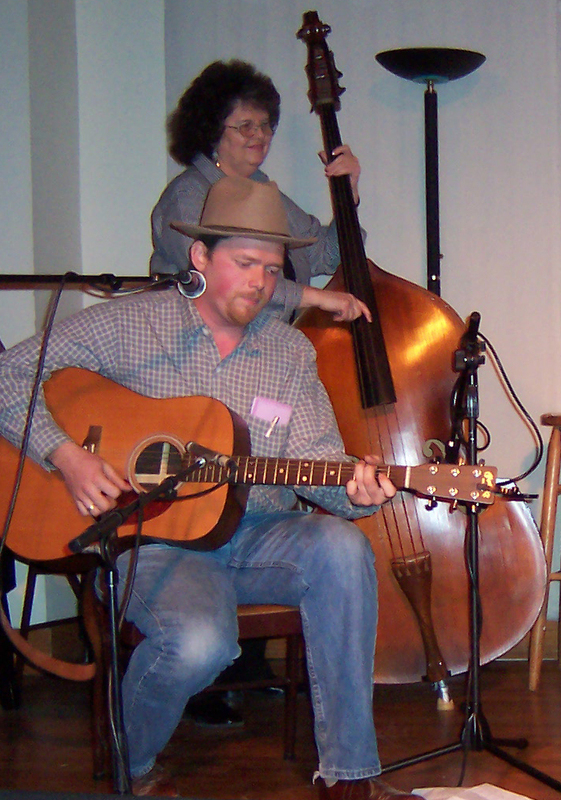 The Tennessee Stifflegs play old-time and western swing with a keen sense of showmanship and musical integrity. 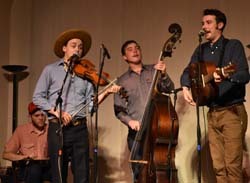 They are a high energy old-time string band featuring Frank Bronson on fiddle and vocals, Thomas McNair on guitar and vocals, Nathan Black on banjo and lap steel, and Tom Cook on upright bass. 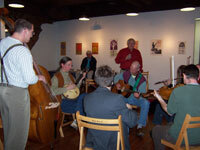 Y’uns is a goodtime acoustic band that blends jugband music with elements of folk, swing, country, and blues. They boast more kazoo-playing & yodeling than any Knoxville band but will fulfill their contract to play at least one down-in-the-coalmine dirge per set. 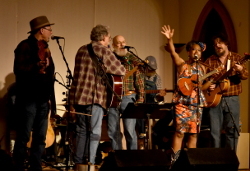 Y'uns features Steve Horton & Stan Turner from the Lonesome Coyotes, Danny Gammon from Music Therapy, J. Miller from UT Theater, & J.P. Reddick from the mighty Mumbillies. 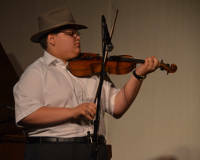 Trenton Caruthers is a 15-year-old fiddle and banjo player from Cookville, on the precipice of the Cumberland Plateau. Trenton is a 2017 Jr. National Old-Time Buck Dancing Champion. Trenton has been inspired and influenced by some of the greatest musicans in oldtime music such as Clyde Davenport, a 96-year-old fiddle player also from Cumberland Plateau. Trenton is a recipient of the 2018 Tennessee Arts Apprentice Program Award apprenticing under the great fiddler Michael DeFosche. Ben Mady is a still kicking 22-year-old from a town just southeast of London called Epsom. His main instrument is the guitar which he's been playing for about five years. He enjoys most playing backup rhythm guitar for which he uses a thumb pick to get strong bass/strum dynamic. 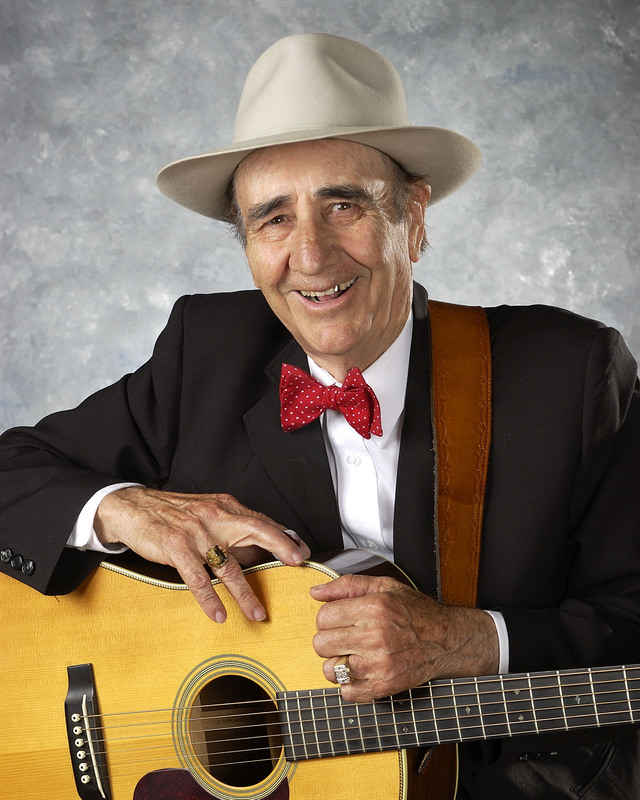 He is influenced by the style of Riley Puckett and many kinds of American vernacular music including oldtime, country blues, Western swing and early bluegrass. 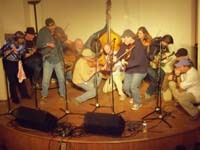 A group fully immersed in the living tradition of oldtime music, Overmountain String Band presents an eclectic repertoire of fiddle tunes drawn from diverse regional, historic, and modern sources. 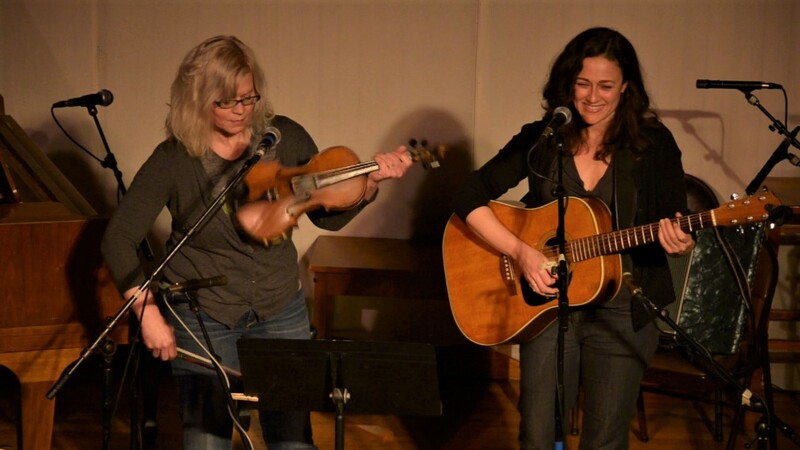 Old tunes, and new alike, are respectfully reenergized with subtle influences ranging from celtic, folk, bluegrass, and rock. 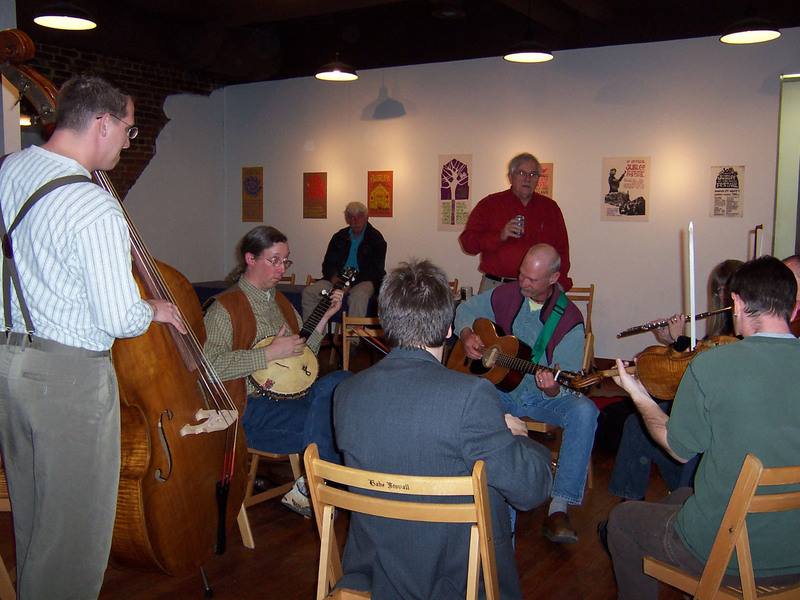 Although the group is recently formed, members Dale Stansberry (fiddle), Greg Horne (guitar), and John Bills (clawhammer banjo) are all veterans of oldtime music and have played together (and in various other bands) for many years. 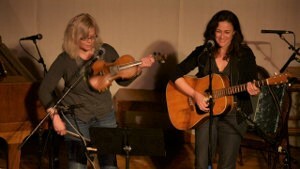 East Tennessee native Leah Gardner sings soulful blues, love ballads, and country folk tunes. 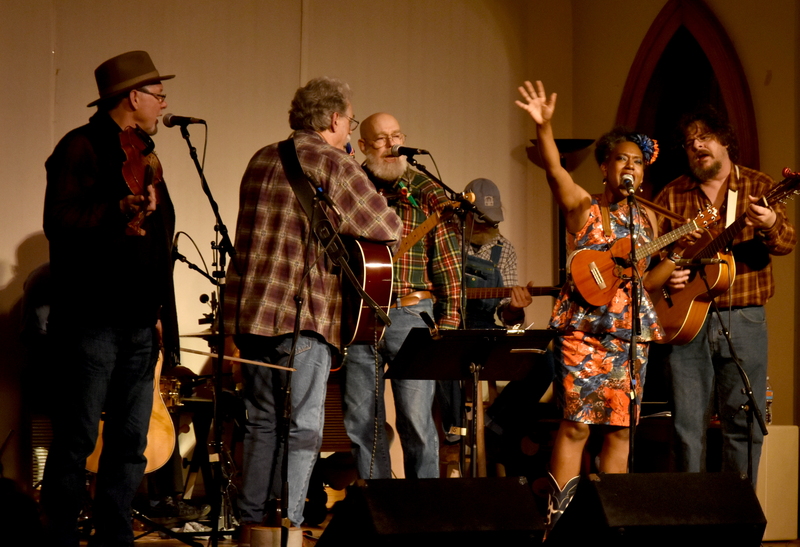 Her sound is influenced by roots music, old time, classic bluegrass and country, early R&B, and years of playing with a range of fine folks in and around Knoxville. She has performed at Bristol Rhythm & Roots Reunion Festival, Bonaroo, Nashville's Loveless Café and the Ryman auditorium, Tennessee Shines, and several times here at the Laurel Theater. Peggy Hambright is well known as the baker and proprietor of Magpie's Bakery and is sometimes caught performing on accordion, fiddle & voice. 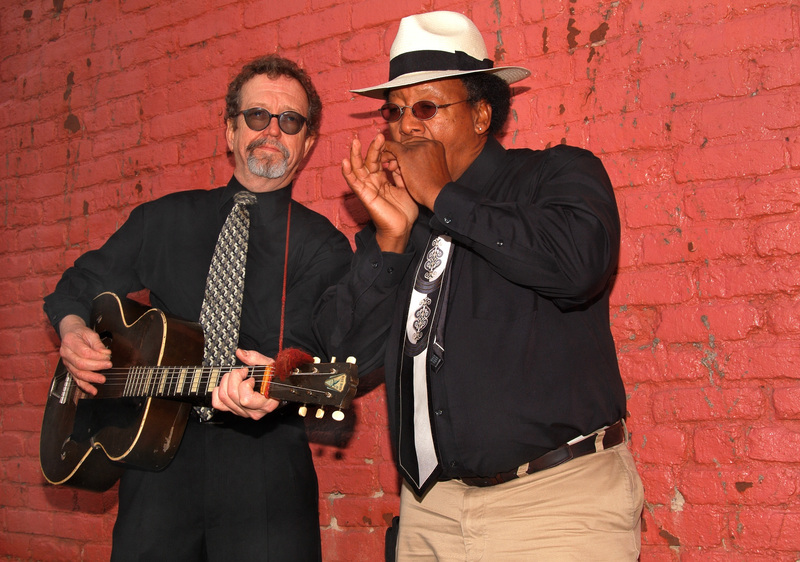 Anybody remember the Newly Evicted Expo City Ramblers? The Honey Wagon Dip Sticks? They're still here, the ever-lovin' Mumbillies, wearing the same hats and the one name they couldn't shake. 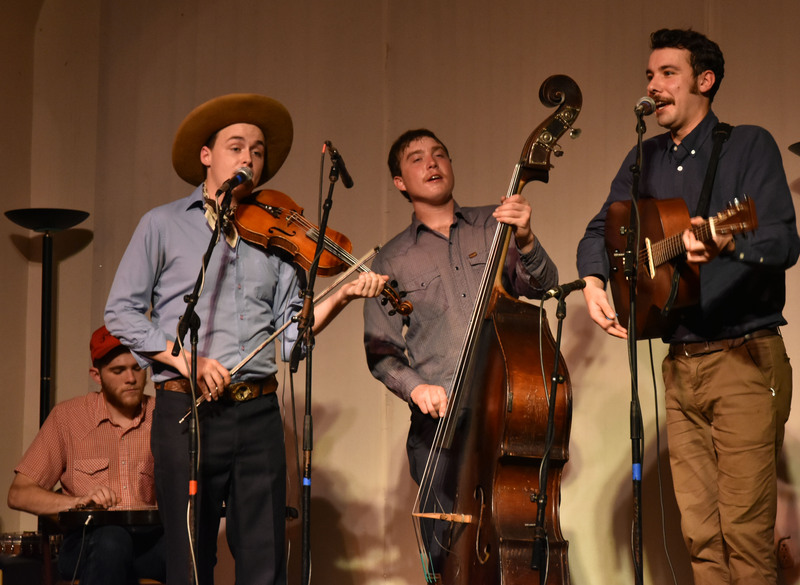 Alleged to be the oldest continuing band in Knoxville, the Mumbillies have stuffed old time fiddle tunes and banjo riffs into every crack in the Laurel Theater's walls for the last quarter century and more. 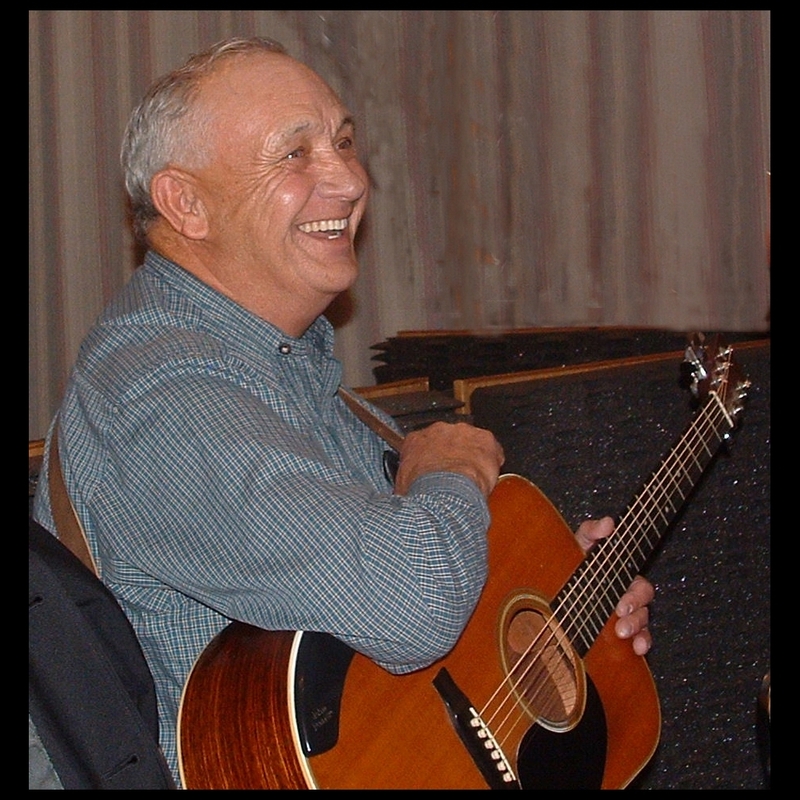 John Alvis, Juanita Johnson and other friends pay tribute to legendary fiddler Charlie Acuff of the Union County family made famous by Charlie’s cousin Roy. Charlie can't be with us this year but his many musician friends will carry his music as far as they can. Fiddle and banjo duet Darrell Acuff and Morgan Simmons are area old-time stalwarts who have performed with the Mumbillies, the Hellgrammites, the New Dixie Entertainers and others. They will be joined by guitarist Don Wood, known for his work with the Tennessee Sheiks and other area bands.